Since my last post, I’ve made two additional orders from Hobonichi. :O To say it’s addicting is an understatement. I posted my hauls on my Instagram, but I wanted to make a blog post showing the hauls collectively. Mostly because I think the photos are eye-candy worthy. I think I’m all set for 2015. What’s funny is I still have a couple things on my Hobo wishlist still, trying to hold off though. 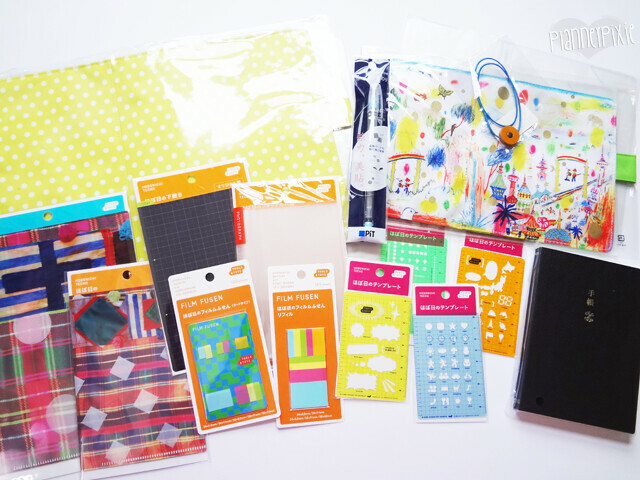 Just in case anyone is unsure about ordering from Hobonichi… I have nothing but great things to say about them. The shipping is fast (4-5 days from Japan to U.S.) and the customer service is outstanding. The products are amazing quality, you will not be disappointed! 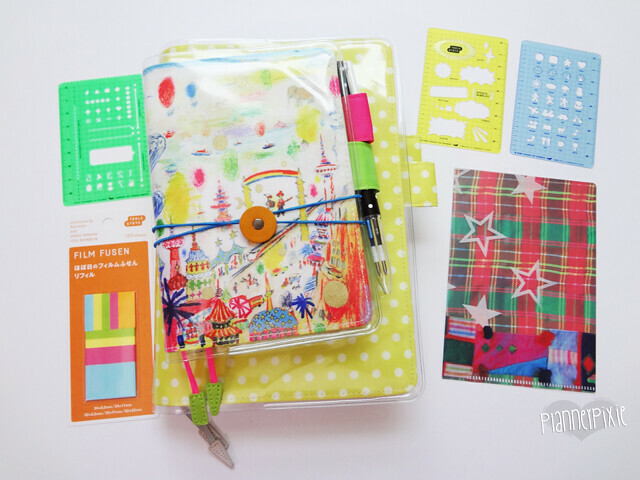 Join the Hobonichi Facebook groups if you’d like: Hobonichi Techo Eye Candy and Hobonichi Users. Hey everyone! I’m very excited to share my 2015 Hobonichi haul with you guys! Although, first things first, I do feel like I’m all over the place these days. 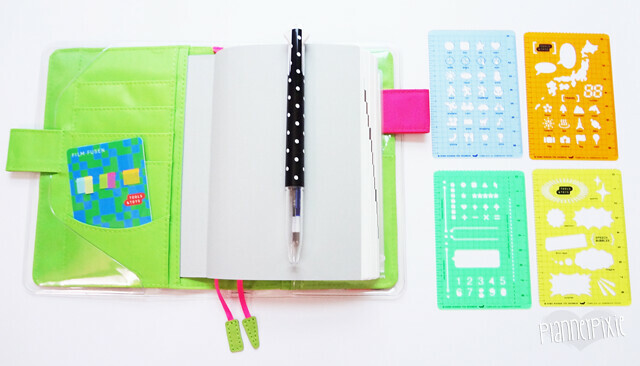 I went from Erin Condren to Filofax, and then Midori to Hobonichi… and basically everything in between. Still trying to see what I like. I first bought a “Fauxbonichi” Miquel Ruis book from Barnes & Noble. It really is a nice book, but it isn’t the “real” thing, if you know what I mean. I kept seeing more and more posts about the new 2015 Hobonichi line on a Facebook group I’m in (Hobonichi Users)… and well, I finally caved. I had to buy some stuff to check it out for myself! Here’s what I got! Everything is all so bright and colorful isn’t it? It’s what attracted me to order in the first place! I ordered a total of 17 items on Saturday (9/20) and received it today (9/26), talk about fast shipping! Of course I tracked the package multiple times a day, but we all do that… right? This is more closer look at the accessories I picked up. When purchasing on the Hobonichi site, you have the option of editing your order and adding more to it until it ships. This can be either good or bad. In my case, I guess it was pretty bad. I merged orders 3 times! Yes, 3x! I couldn’t help myself. 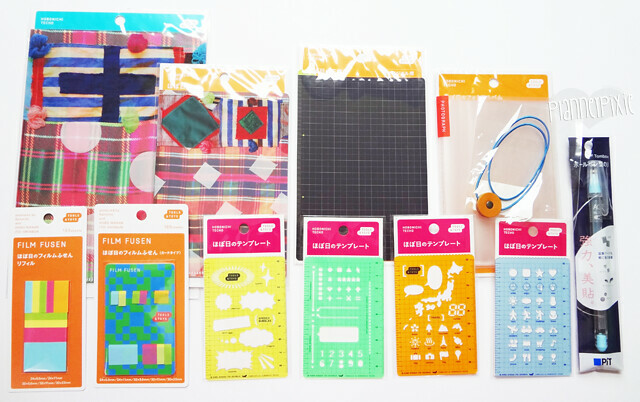 What I love the most probably has to be the stencils and sticky note set. The photograph insert and addition pocket accessories sort of bulk up my Hobonichi so I’m not sure if I like those just yet! 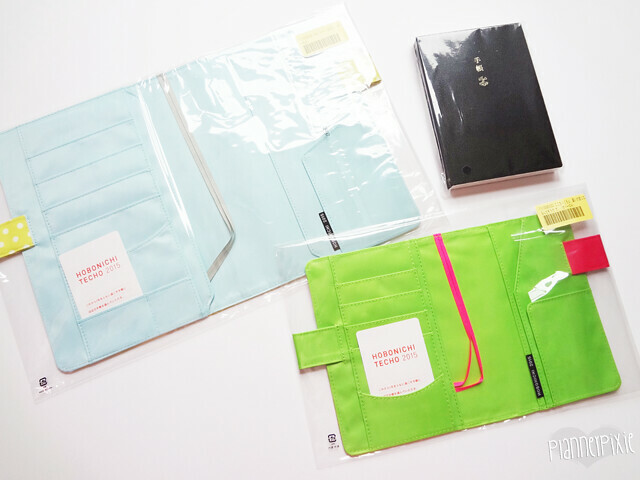 I am on the hunt for yet another travel case just for my Hobonichi accessories for this reason. Isn’t this so pretty?! I love the detailed paintings and the fun bright colors. 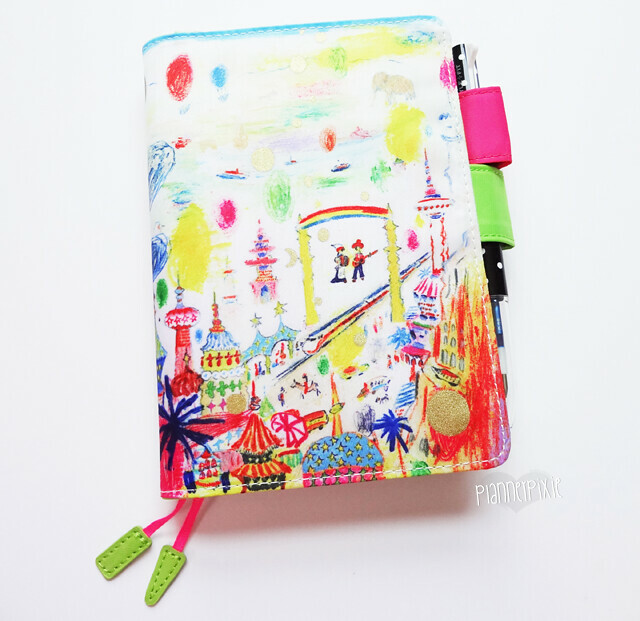 It really is this vibrant in real life too, which I feel would cheer anyone up each day when they go to journal in it! I had so much fun playing with my new stuff and setting this up! I am finding that the cover is a little stiff and needs some use to loosen it up a bit, which I see happening very quickly once I get to use this beautiful journal! Finally, here’s another pic showing the covers and some accessories. If you’d like to purchase or browse the Hobonichi store, you can visit the site here: http://www.1101.com/store/techo/2015/planner/. Don’t blame me if you end up merging additional orders, I warned you!